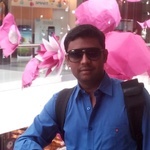 I am specialize in web scraping, excel vba/macro, .net application, autoit automation. I am doing this from last 10 years. I can fulfill all requirements and always submit work...Read moreI am specialize in web scraping, excel vba/macro, .net application, autoit automation. I am doing this from last 10 years. I can fulfill all requirements and always submit work before deadline.